Today I am thinking about how preoccupation creates a distance between you and God. This is what happened to the Israelites as they traveled to Jerusalem for Passover. First, the Israelites incurred expense after expense. Even though they were in a place to worship, they were worried and constantly preoccupied with whether they had enough money to get them through. In addition to their financial worries, they were also worried about whether their animal sacrifice would pass the inspection. The slightest imperfection in their animal meant that it wouldn’t pass the test, meaning they would likely have to purchase another animal at a greater expense. Their intentions were to worship, but they were preoccupied with the stresses of their day. Here are two things we can learn from their experience. First, the key is to become preoccupied with the problem-solver, not the problem. 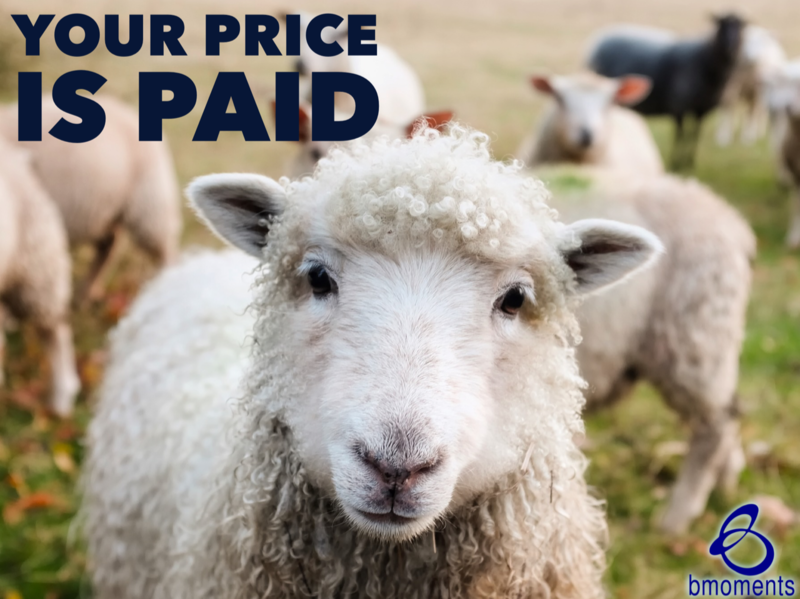 Secondly, as this is Holy Week, let us dwell on the fact that our price has already been paid. So today, move closer to Him.